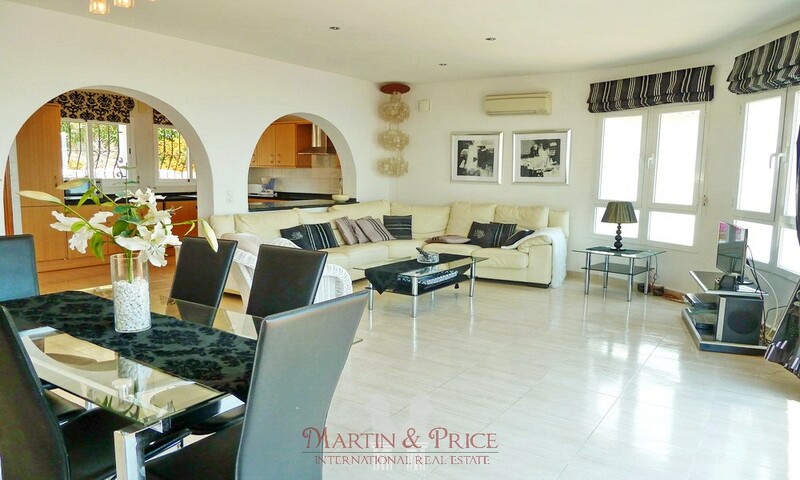 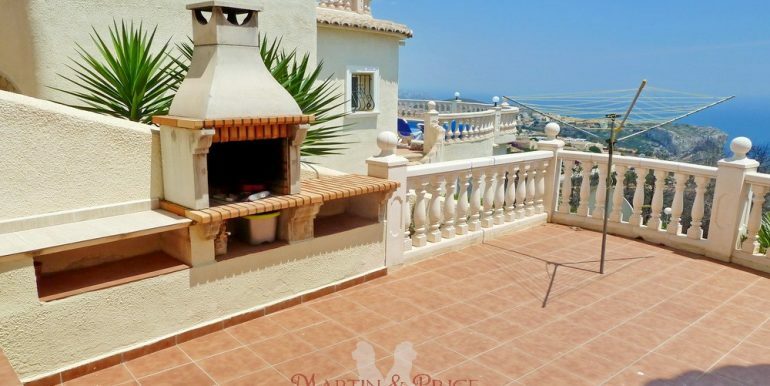 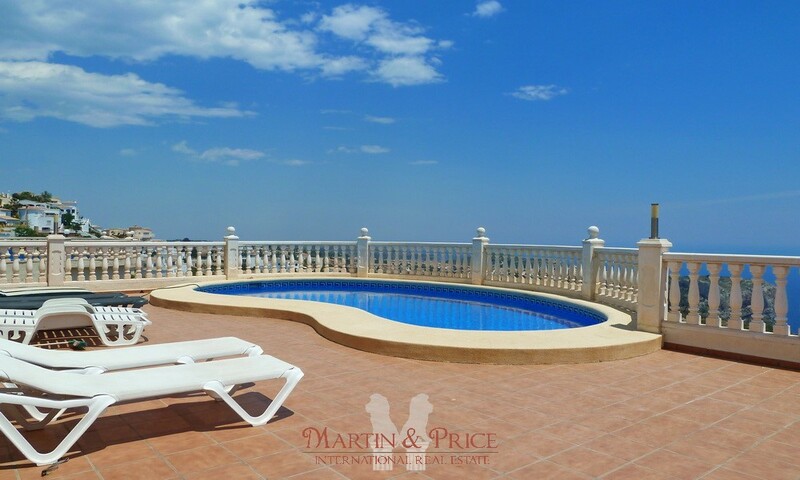 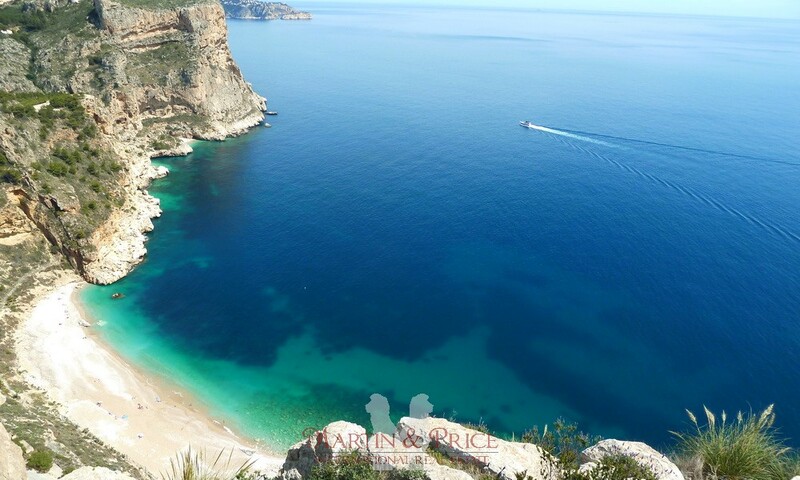 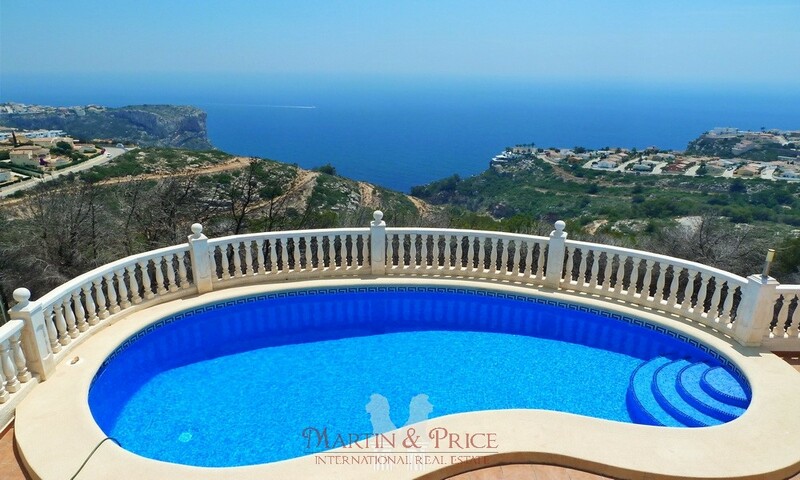 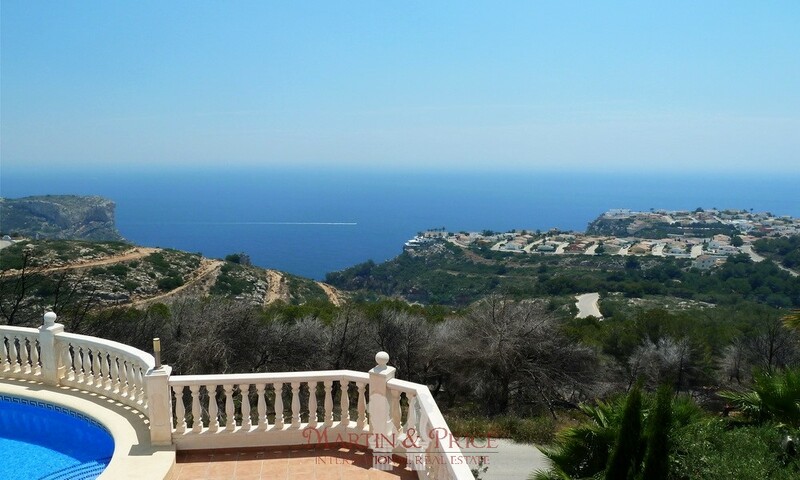 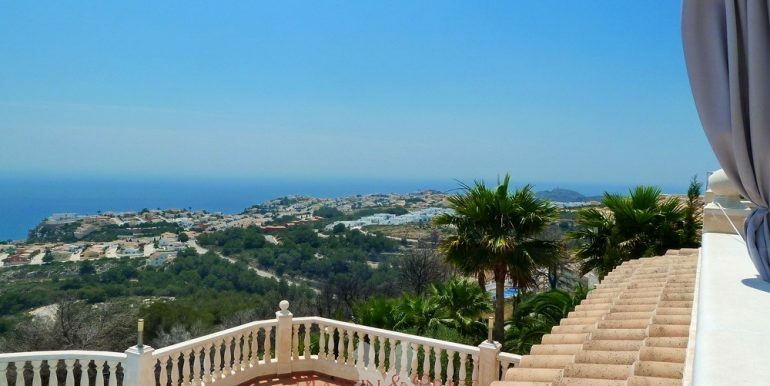 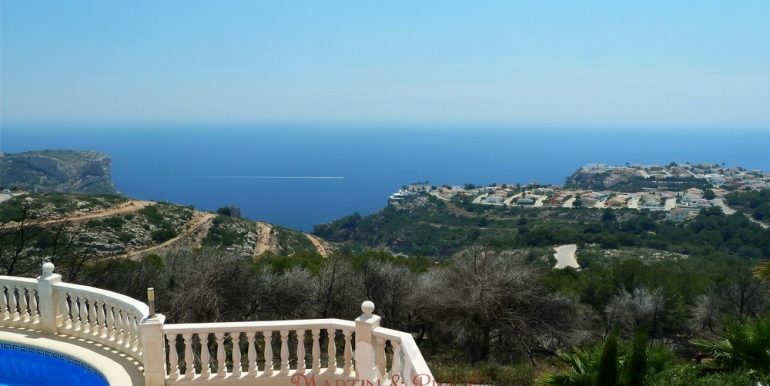 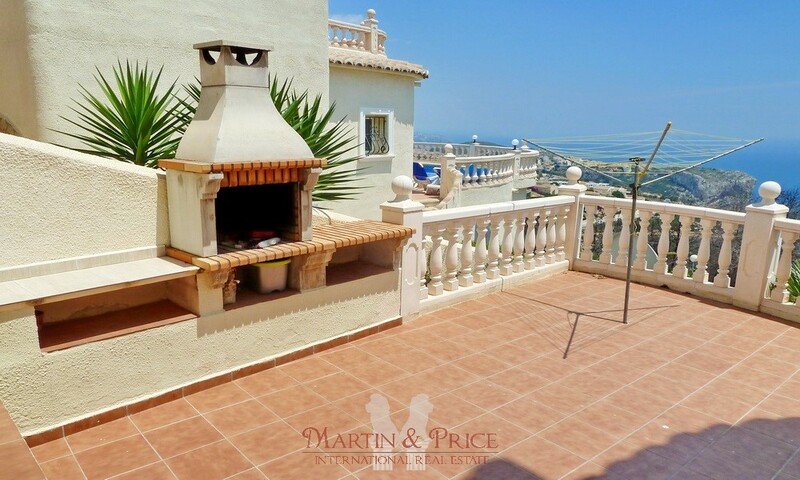 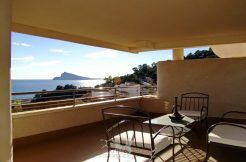 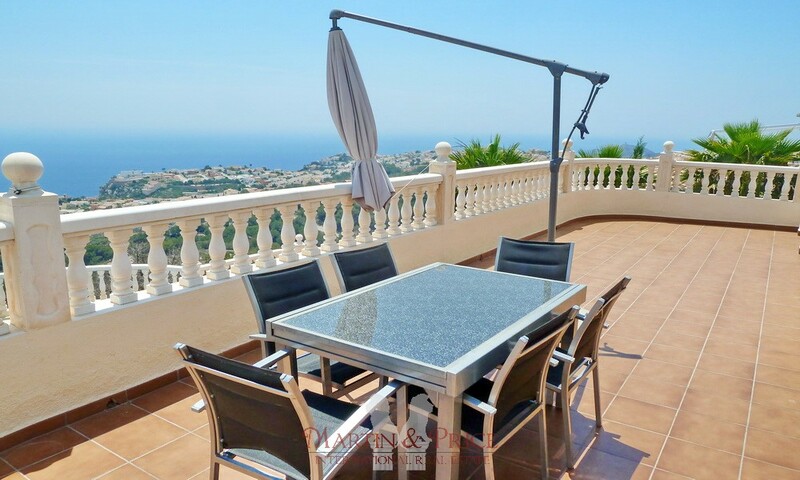 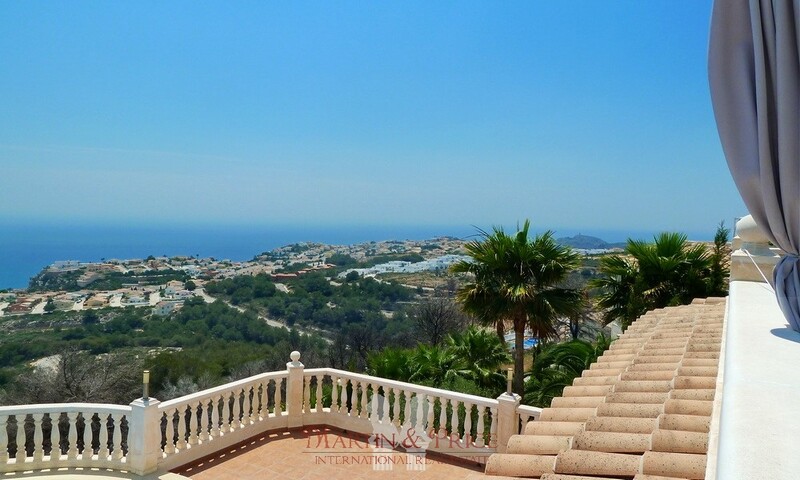 This beautifully located villa in Cumbre del Sol offers five bedrooms and an elegant interior design, a private pool and breathtaking sea and mountain views. 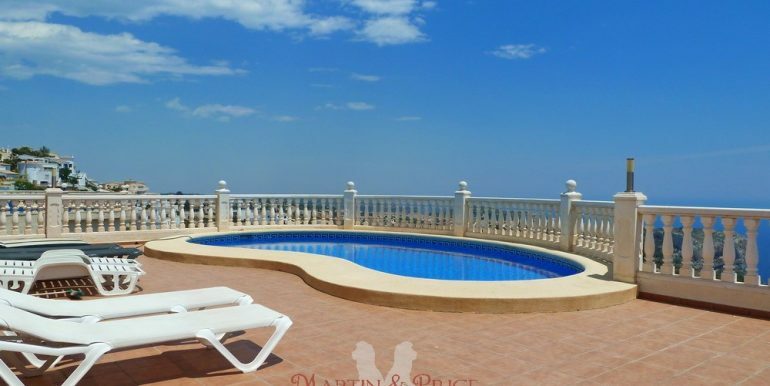 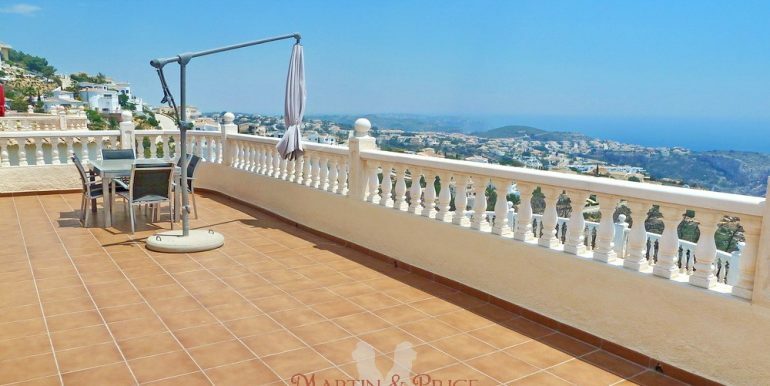 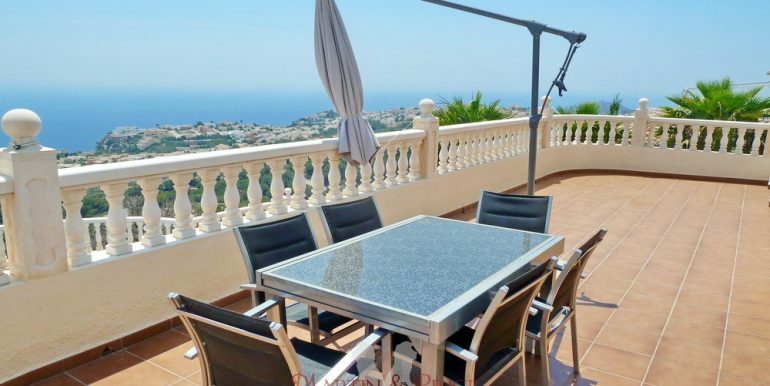 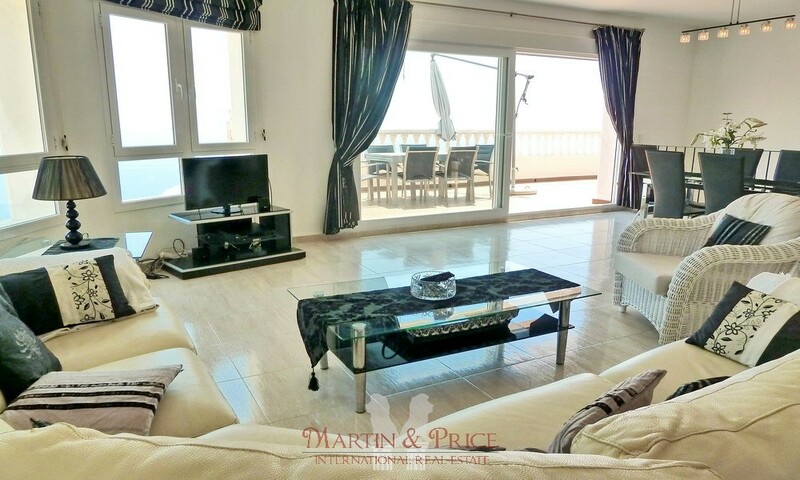 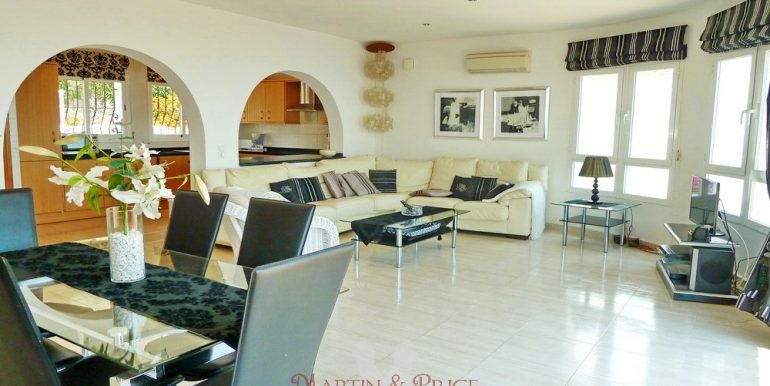 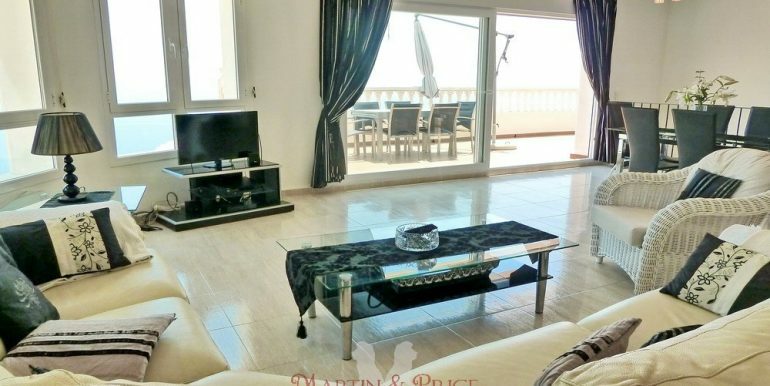 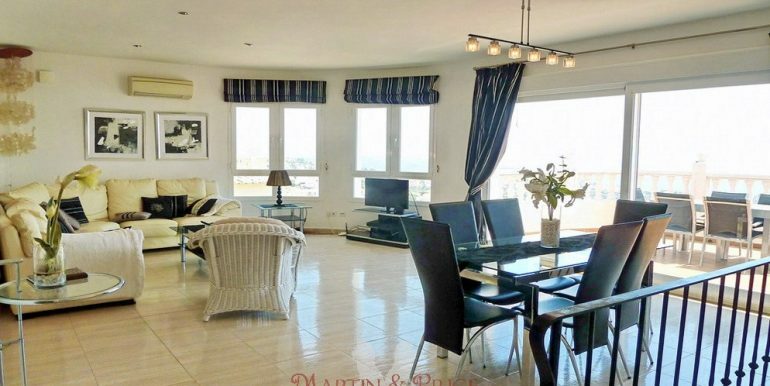 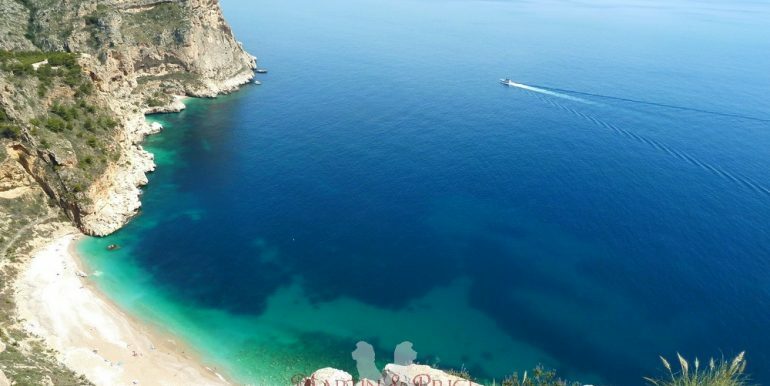 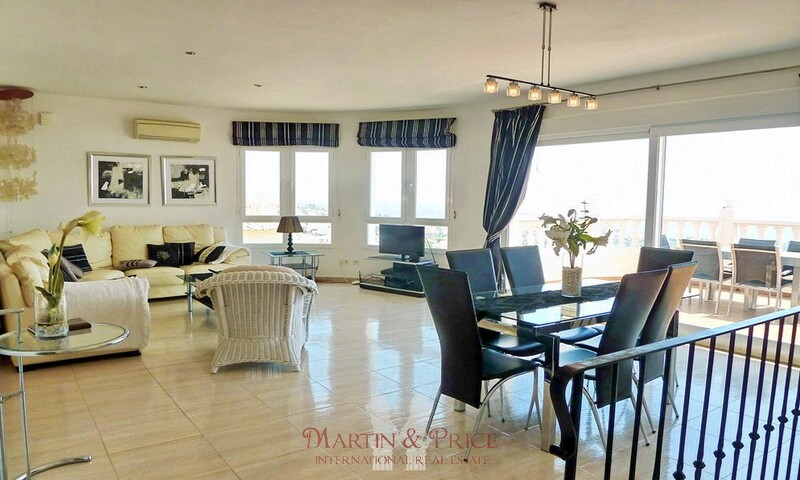 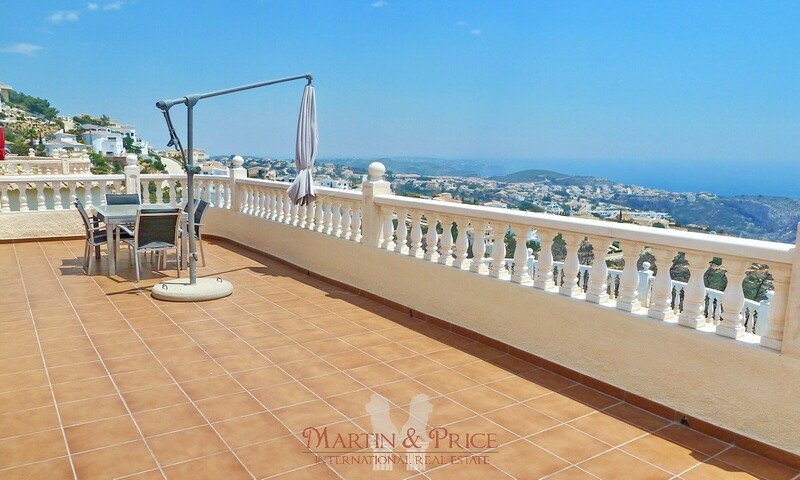 The main house contains a modern and spacious open plan living/dining room, large fully fitted kitchen, a bathroom and two double bedrooms which have access to a grand terrace with an outstanding 180 degree view of the Mediterranean. 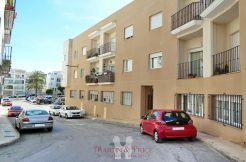 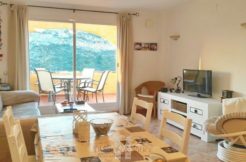 The apartment underneath contains a second sitting room with patio doors opening onto the pool terrace plus a spacious terrace beside the apartment front door which is used for dining al fresco. 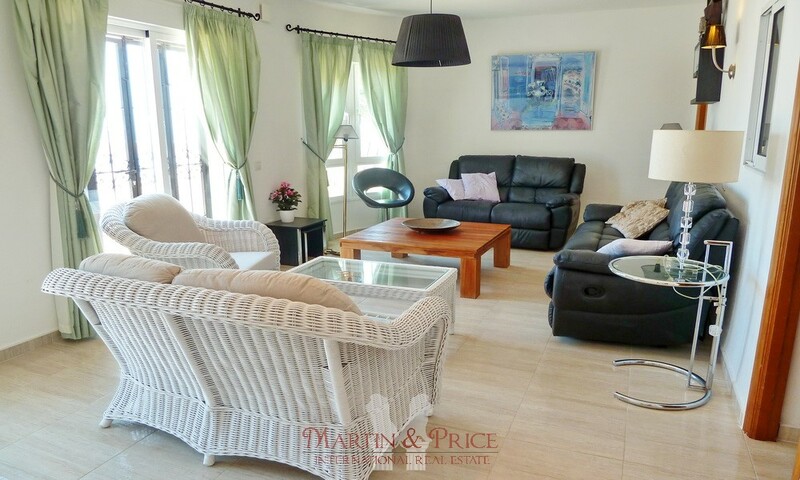 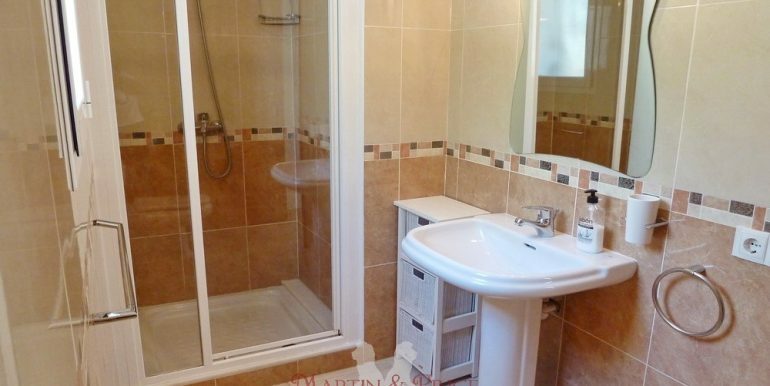 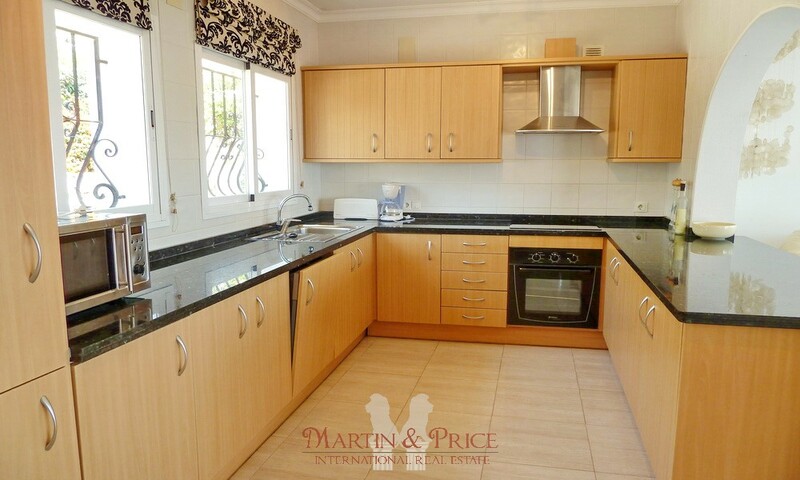 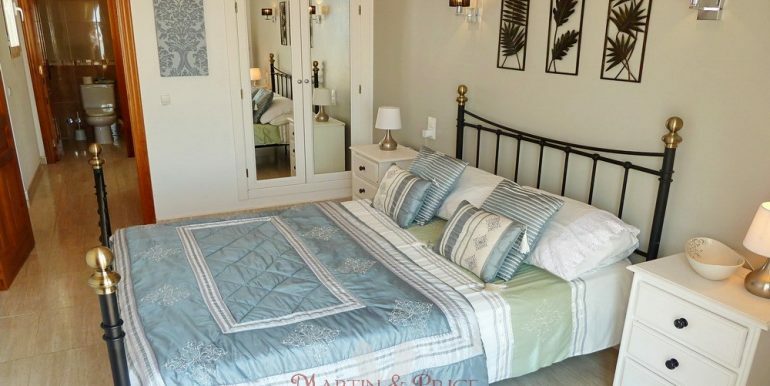 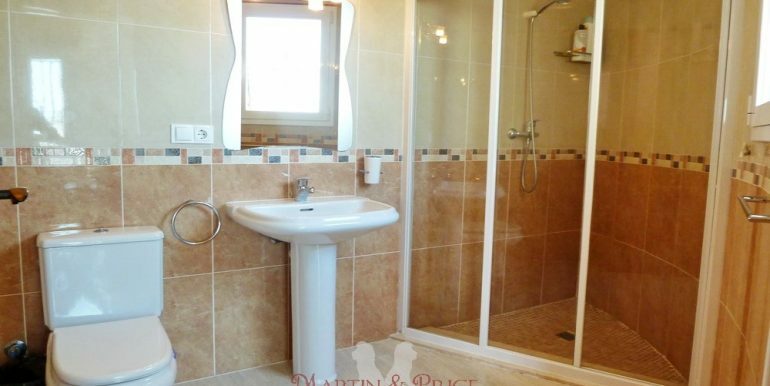 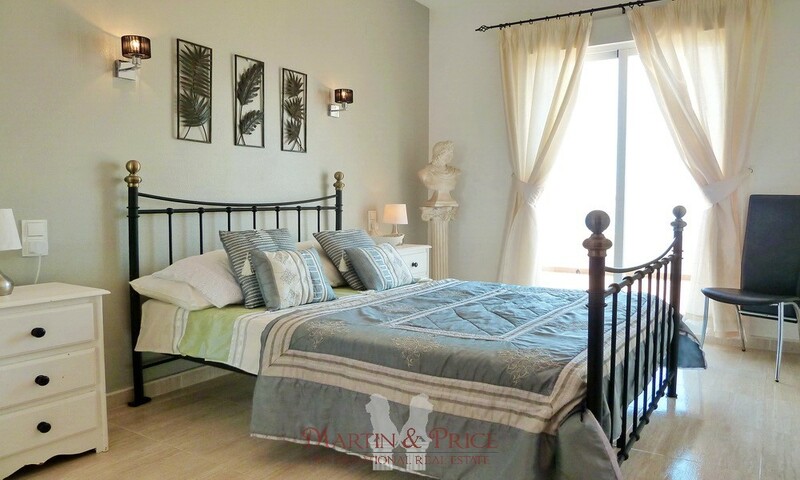 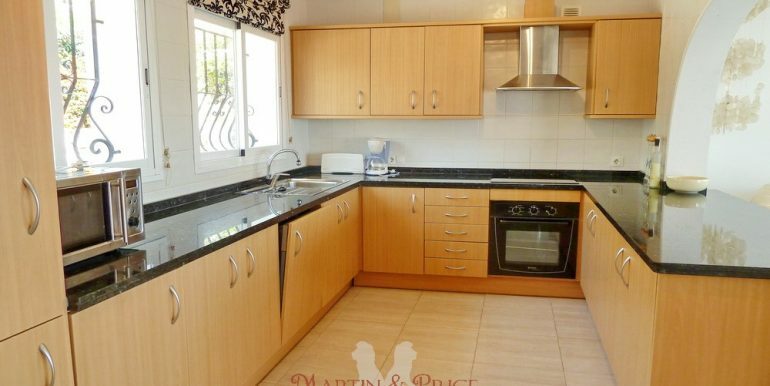 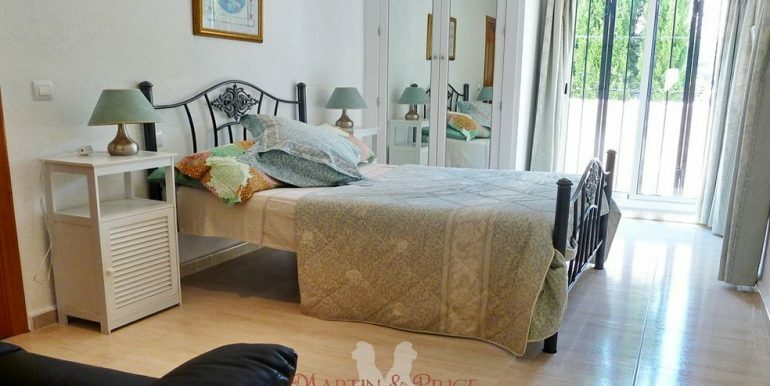 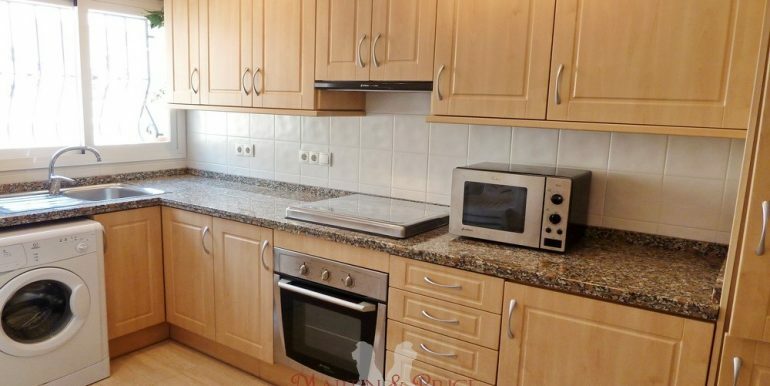 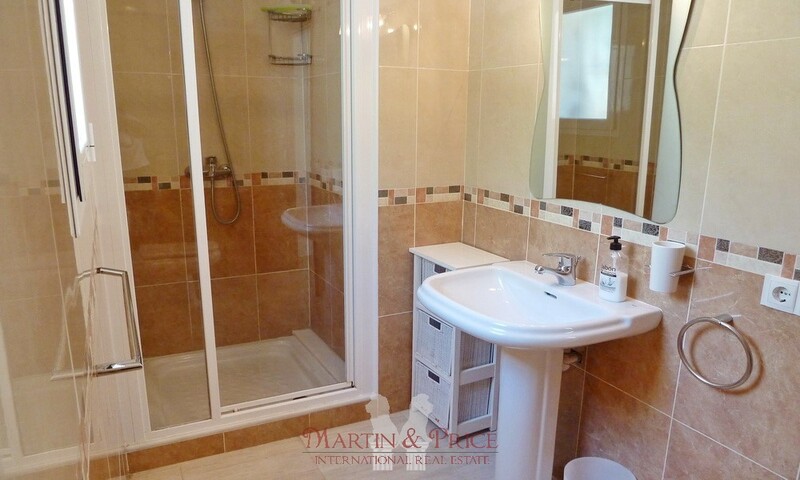 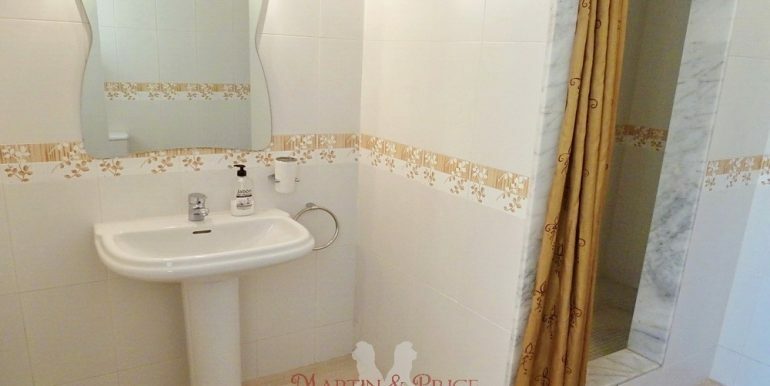 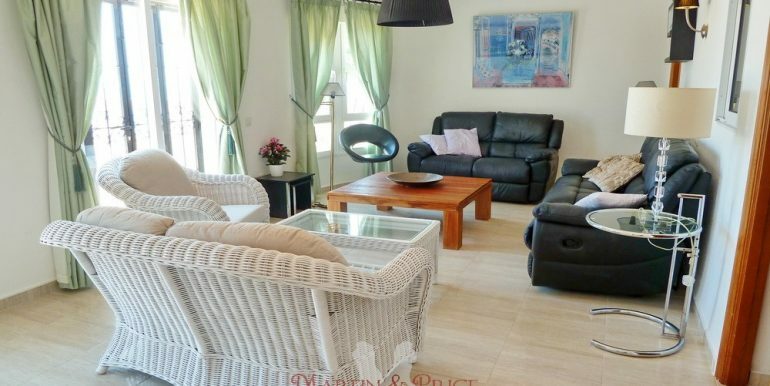 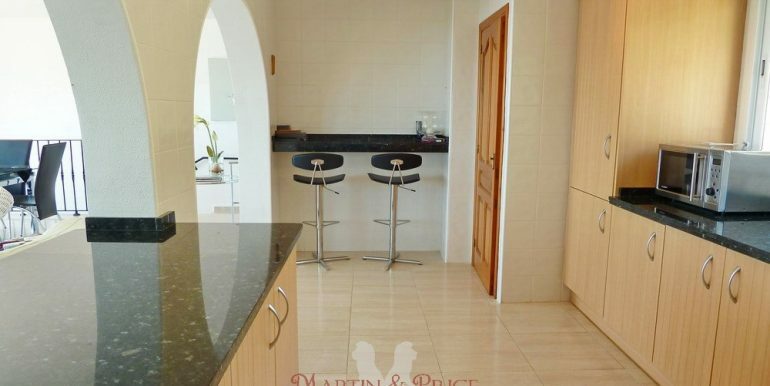 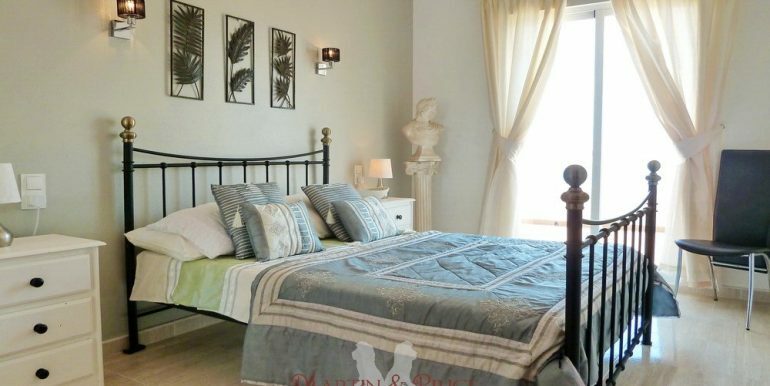 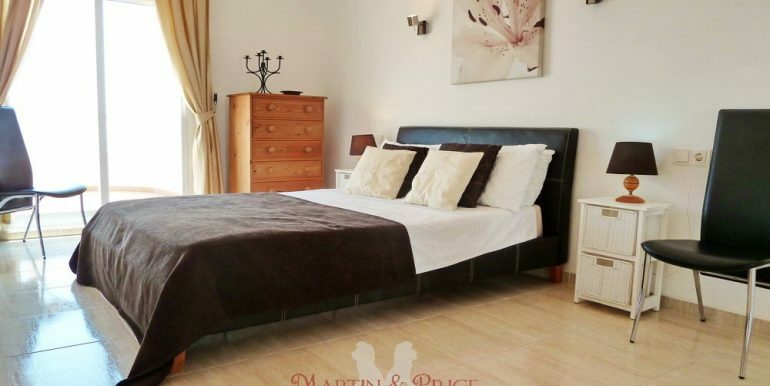 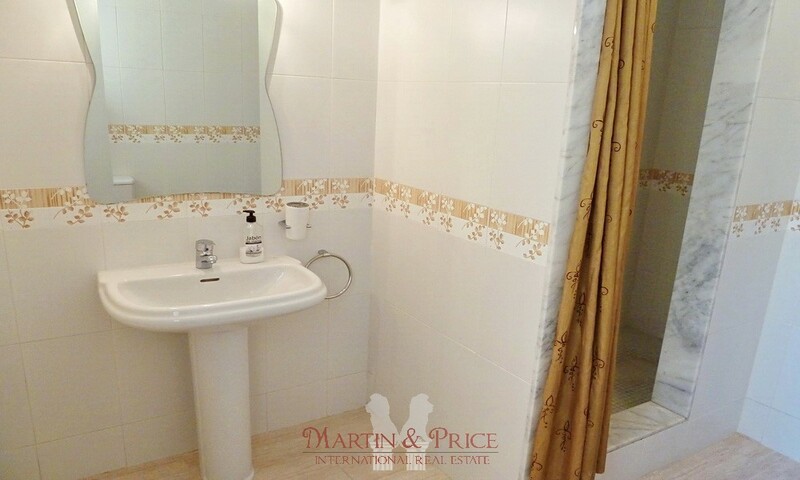 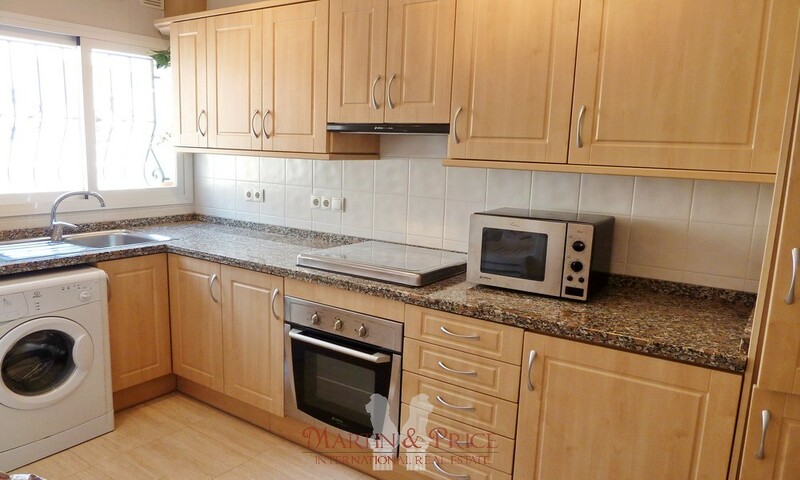 There is a fully-fitted kitchen, a master bedroom en suite with French doors giving access to the pool terrace, a double bedroom, an internal twin/double bedroom and two spacious bathrooms. 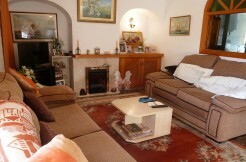 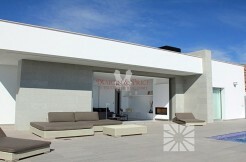 The main house provides lockable internal access into the apartment below. 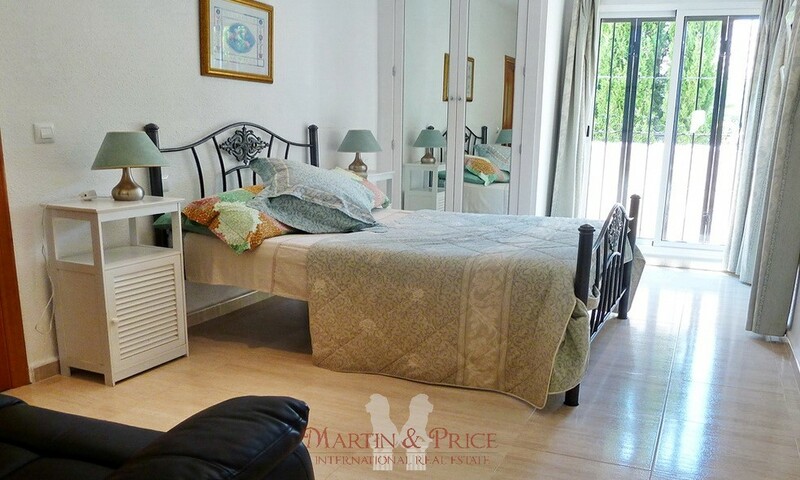 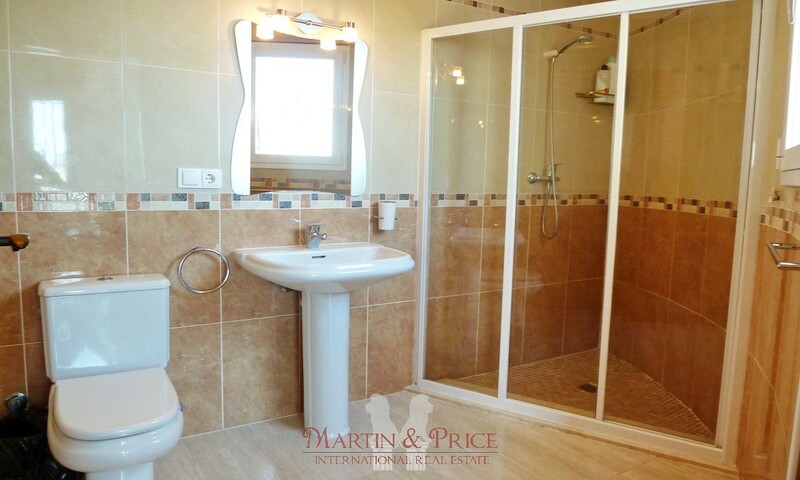 The property has cold/hot air conditioning and private parking.